There are two universal truths for every person who has ever walked this planet: Life is messy. Jesus is real. 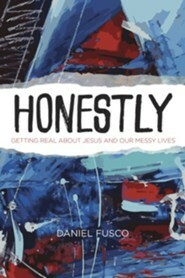 Join Daniel Fusco on a wild, grace-filled journey through the book of Ephesians. 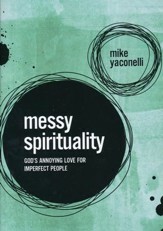 He'll unpack what happens when the craziness of life meets the presence of God--and something beautiful is created. Honestly. Your life is messy, hard, and uncertain right nowand if it isnt, it has been or it will be. 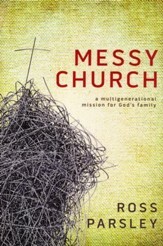 Messiness is the human condition. 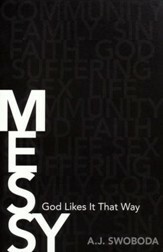 Part of the messiness is the unpredictability of life, not the unrelenting evil of life. And Jesus shows up inside all of that, because He experienced every aspect of what its like to be human: joy, physical pain, family arguments, frustration, existential trauma, and more. 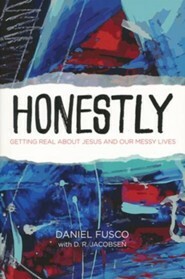 If Jesus is a real person, we should expect to meet Him in all of life. And only through the Good News and love of Jesus can we learn how to thrive in the midst of our mess. I'm the author/artist and I want to review Honestly: Getting Real About Jesus and Our Messy Lives.